The College of Arts and Sciences offers Bachelor of Science degrees in Biology, Biology with minors in pre-medicine, pre-pharmacy, and urban ecology, Communication Studies, Criminal Justice, Criminal Justice with options in juvenile justice and policing, Mathematics, Joint Math/Engineering with St. Louis University with options in computer engineering, mechanical engineering, and interdisciplinary engineering, Professional Interdisciplinary Studies, Political Science with options in urban politics, urban policy, pre-law, and international relations, Sociology with concentrations in social justice, law/justice/society, and urban sociology, Sustainability in Urban Ecology with concentrations in science, computation and physical science, and urban agriculture, and Urban Affairs with options in public administration and urban studies. Students may also pursue a certificate in Urban Agriculture. The curriculum for each of these degree programs includes general education courses, professional courses and internships (where applicable) in a student’s area of interest. The College of Arts and Sciences at Harris-Stowe State University is committed to providing all students an accessible and affordable quality liberal arts education in mathematics, physical and life sciences, humanities, and social and behavioral sciences. The mission of the College of Arts and Sciences is twofold: (1) to train and educate graduates who will demonstrate effective written and oral communication skills and are able to think critically and make decisions for the common good and (2) to produce graduates who are equipped with strong academic and practical knowledge to pursue careers in mathematics, life science, law enforcement, government, education, and business. The College of Arts and Sciences also provides course offerings in general education. In this role, the college is the gateway to all degree programs at the University. In addition, the College of Arts and Sciences, in collaboration with the College of Education, provides course offerings in many areas of content knowledge concentrations, including fine art, computer education/instructional technology, English, mathematics, music and natural sciences, leading to Bachelor of Science degrees in Early Childhood, Elementary School, Middle School and Secondary School Education. Each of these degree programs is designed to prepare a specialist who will assist in identifying, formulating, and solving urban problems. This degree provides students, whose career goals call for an interdisciplinary background, the opportunity to select from a combination of disciplines that address the student’s expected career needs in terms of content knowledge and skills. Students may choose from a variety of disciplines to develop a unique course of study which is tailored to their interests and specific career and educational goals. The concentration in Urban Politics provides opportunities to closely study the structure of local government and issues of power and politics. Furthermore, a concentration in Public Policy Administration will provide training for any student who wishes to pursue a career in municipal politics or in policy research and analysis. Finally, the concentration in international relations will allow students to develop an understanding of how the politics of states and economies intersect and collide between competing interests and institutions in a globalized world. Pondering this question is the purview of the study of psychology. Conventionally, we learn about the mind by experimentation, observation, and analyzing the workings of human and some animal minds. Advances in technology have moved the study of psychology in ways unimaginable by the pioneers of the science of psychology. However, we still place a premium on learning about the mind by studying behavior. The Communication Studies program functions as a professional training ground within the educational framework of the Department of Humanities, as well as the University. Through a well-planned program, the department aims to develop among its students a broad understanding of the basic principles, utilization of contemporary technology, and values in the performing arts. The B.S. degree program in Mathematics is designed to provide students with substantial grounding in the theory and applications of mathematics, providing them with the breadth and depth necessary to pursue careers in areas such as actuarial science, insurance, financial investment, computer science, statistics as well as a wide variety of other industrial and government employment. Graduates may also proceed to graduate school to earn higher degrees that will qualify them to seek careers in academia. In our increasingly technological society, persons with quantitative ability and training are in high demand. The program has significant built-in flexibility to allow students to focus their coursework to their desired field of interest. In addition, students at Harris-Stowe have the opportunity to pursue a dual degree program in mathematics and engineering with St. Louis University. Various types of engineering are possible, including computer, mechanical, and civil engineering. 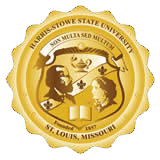 Students completing the degree program on schedule can expect to spend three years at Harris-Stowe followed by either two or three years at St. Louis University. Upon completion, students will receive a B.S. in Mathematics from Harris-Stowe and a B.S. in Engineering from St. Louis University. Students interested in the dual degree program should consult with mathematics faculty to ensure that they select courses so as to progress through the program in an efficient manner. Students will also want to consult with parties at St. Louis University to inquire about financial aid arrangements for the dual degree program. Note: The Mathematics Degree is designed to be very flexible. Students are strongly encouraged to seek out the advice of a faculty member in mathematics to customize their degree program. As a starting point, potential SLU Engineering students are encouraged to consider the Computational and Applied Mathematics Concentration. The goal of the Bachelor of Science degree in Biology is to provide students with a broad educational grounding in the biological sciences, allowing them to pursue graduate and professional studies and to enter into health and science careers. Harris-Stowe biology majors are eligible to apply for several special collaborative professional programs, including with St. Louis College of Pharmacy, Goldfarb School of Nursing at Barnes-Jewish College in St. Louis, the Program in Occupational Therapy at Washington University School of Medicine in St. Louis, and Kansas City University of Medicine and Biosciences. These programs require special coursework and the requirements are subject to change. Generally, students should plan to take the Biology (No Concentration) - please see advisors for more details. The Pre-Medicine concentration is for students interested in biomedical careers. Students should note that competitive programs such as Nursing, Pharmacy, Dentistry, or Medical School require a minimum undergraduate GPA of 3.0 to 3.5. Students completing the concentration in Pre-Medicine must take 36 additional credit hours including 26 hrs of additional required courses and at least an additional 6 hours of Pre-Med electives, and any free electives needed to complete the 120 hour requirement. Note: Students interested in Nursing must take BIO 0203, MATH 0250, PSY 0100, and PSY 0308 to qualify for most nursing schools. Students should consult with advisors to be sure the electives they choose will best meet their career needs. The Urban Ecology Concentration is for students interested in green jobs including the fields of environmental conservation, restoration ecology, urban health, energy management, urban agriculture and other “green” jobs. Students completing a minor in Urban Ecology must take 36 additional credit hours including 24 hrs of additional required courses and choose at least an additional 8 hours of Urban Ecology electives, and any free electives needed to complete the 120 hour requirement. Note: A Bachelor of Science degree is offered in the related field of Sustainability and Urban Ecology, as well as a Certificate in Urban Agriculture. Students should discuss with their advisors which degree track is most suitable for their needs. Graduates can pursue further studies in environmental science, horticulture ecology, botany, wildlife management, nutrition, environmental technology, statistics, sustainability, etc. Additionally the students will acquire computational and/or statistical skills through the program that will prepare them for technical jobs involving data analysis. All students enrolled in the certificate program must meet the admission requirements of HSSU at the time of enrollment. Students must also have successfully completed English Composition 1 (Eng. 0110I) and 2 (Eng. 0110II) or its equivalency with a grade of “C” or higher. Applicants who meet the requirements listed above will be reviewed by the Academic Affairs Division of HSSU. Deviations from the admissions requirements are uncommon, but may be granted with good cause and upon approval of the Academic Affairs. Students must earn a grade of “B” or higher in each Certificate course in order to remain enrolled in the Certificate Program. Students’ effort and success will be tracked in real-time to identify Harris-Stowe State University students at risk of not successfully completing the program due to underperformance. In order to remain enrolled in the Certificate Program, students must earn a final grade of at least a “B” in each course, complete all required credits/coursework through HSSU—no transfer coursework will be accepted and all required coursework must be completed within 2 years. Deviations from the two-year time period are uncommon but may be granted with good cause and upon approval of Academic Affairs. Documentary Videography exemplifies the recording of the real, historical world. Documentary Videographers learn to become specialists at forecasting consequences of events, finding enlightening details in scenes and noticing the intricacies of human interactions during their investigation of a documentary subject. The primary objective of the Documentary Videographer is to record real world events, then form recorded fragments into a comprehensible story for an audience. Audio Production Technology provides a general grasp of the theory and practice of audio production. Students will acquire an understanding of the scientific and artistic features of sound, as well as a broad range of audio production techniques applicable to music, theater, and electronic media. Ciminal Intelligence Analysis utilizes layers of sophisticated techniques as investigative tools in tactical and operational inquires of crime data. This actionable research reveals trends and patterns in illicit activity to inform law enforcement, correctional, and judicial constituents in the intervention and prevention of an array of criminal acts. Those who successfully complete the program will be skilled in the conversion of criminal intelligence data into meaningful written reports and charts of high instructional value for combating crime and informing interdisciplinary policing and policy across the fields of law enforcement, business, technology, and others. Urban agriculture is a part of an urban ecological system and can play a critical role in the urban environmental management system. This field involves community engagement to produce food in the concrete jungles caused as a result of urbanization. The activities involved not only aim at teaching the students with necessary tools and techniques for urban agriculture but also the importance of growing plants in the urban ecosystems and its impact on reviving the urban ecosystems as well as bringing back the lost biodiversity of the urban areas. This certification also exposes students to the element of entrepreneurship and internship opportunities within the scope of Sustainability and Urban Ecology. The certification has no prerequisites and requires 15 credit hours for completion. It has four required courses (12 credits) and the students can select any one elective course (3 credits).